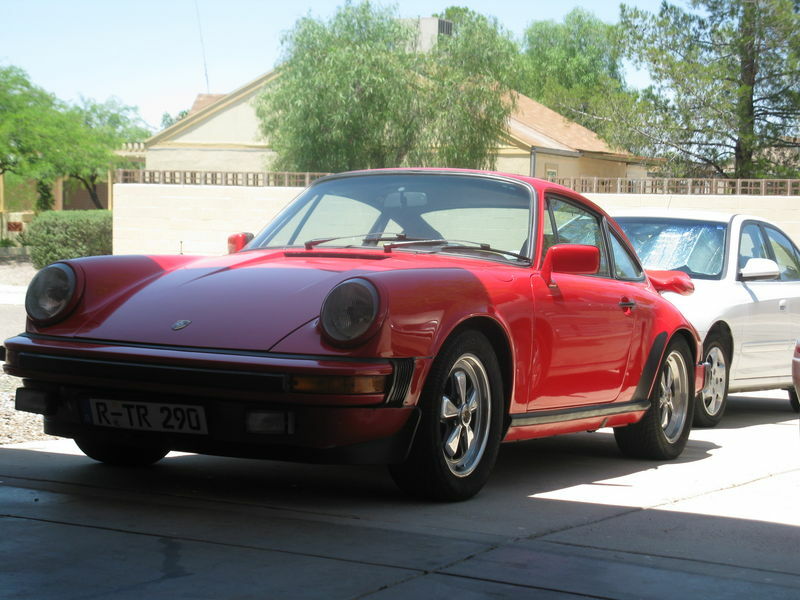 I have a 1980 911 SC that I bought 2 years ago and am trying to find information about my car. The car came from Phoenix Az. and I remember the owner telling me that he bought the car in Prescott Az. It was originally brown in color but was painted red at some point. It has a german license plate on the front but I don't know if the p.o. added this plate or not. The car was misbadged as a carrera and has a tail on it. I don't know what type of tail this is but it isn't a whale or tea tray. I plan on putting a stock decklid back on the car when I can find one to trade or purchase. I am hoping someone from Prescott, Phoenix or Pelican will recognize this car and know who owned it. The car didn't have any maintenence records when I bought it but I had a thorough PPI done on it. In the past 2 years of ownership, I haven't had any problems. I am hoping that a previous owner may still have records for this car as I am interested in learning the history of it. I would love to attend the upcoming event but won't be able to make it. 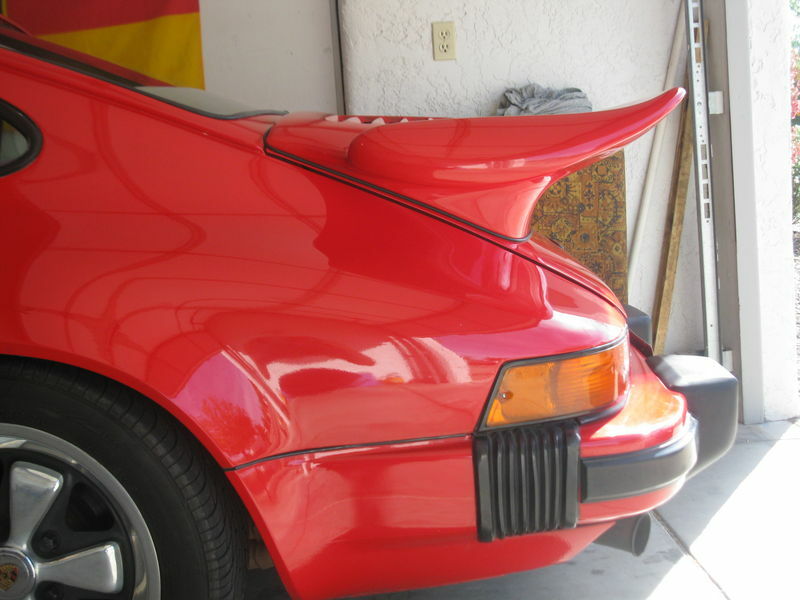 Someone just bought a deck with a tail on it that used to be on a Carrera. Happens all the time. 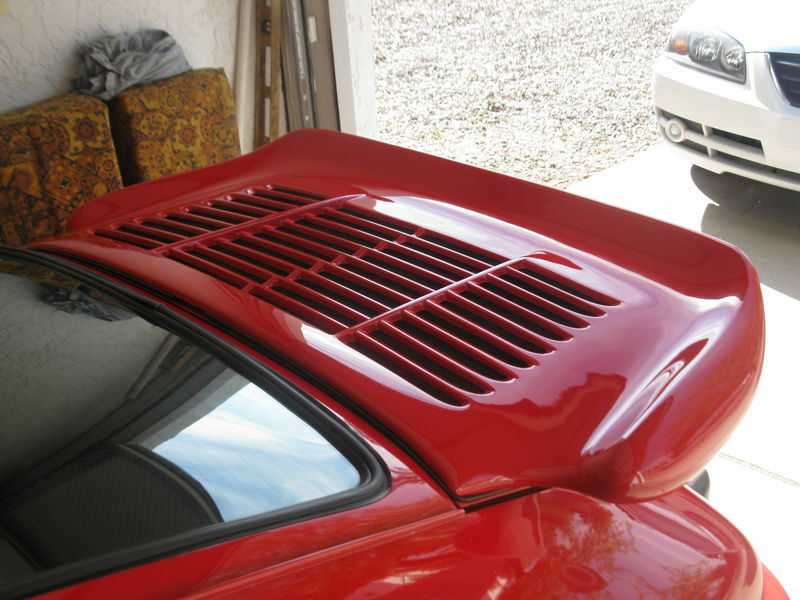 All decklids fit all cars from the 60's to late 80's. Show a picture of the tail. It's a nice looking 911. Sounds like you won't be at the Porsche 2 Prescott event. If that changes, track me down. I'll be there with my 1977 Carrera 3 (guards red). i believe the Carrera badge started in 1984. I could be wrong. But 1978-83 were SC's. Does the car have the smaller size bumper guards on the back (not the big fat ones) and possibly amber rear turn signal lenses? I used to live in Prescott and I remember a brown Euro 911SC that I would see in the same parking lot all the time, driven by a woman. Seemed like a nice car - chocolate brown, non metallic and no rear wing at the time. The car has the larger bumper guards, but it does have euro amber rear lenses. The paint was a chocolate brown. Any ideas on what type of tail this is? I am going to sell or trade it at some point to put a stock decklid back on. That could possibly be the same car. The bumper guards may have been changed (or I could have been wrong?). The amber turn signals seem to be the same and so does the finish on the wheels. This was around six or seven years ago. There are quite a few air cooled 911s in Prescott and it was the only brown SC that I had seen. One thing I do remember at the time is that the rear tires were the wrong size. Instead of the correct 225/50-16 the car had on 225/55-16s. Were the tires fairly recent when you bought it? Edit: Actually, the wheels may have had black centers... Sorry to sound vague. I DO remember a chocolate brown SC in Prescott, though. Last edited by KNS; 05-18-2010 at 04:46 PM.. Thanks to fat cab for the info about the tail. KNS, The tires were new when I purchased the car. I also wondered about the wheels. Most SC 911s that I see have the Fuchs with the black centers and the polished rim. Were the wheels on my car an option for that era ? This car may very well be the one you remember at that time. The only maintenance record I have is a receipt from Don Jackson in Phoenix from the p.o. Is there going to be another Porsches to Prescott this year? I am still curious about my cars history and would like to make it to Prescott if the event is being held again this year.